General Motors says driverless, robotic Chevy Bolts will appear on American streets in 2019. A General Motors executive said Friday that the company is rushing to launch autonomous vehicles for a ride-hailing service that could compete with Uber and Lyft, the latest example of how aggressively the legacy carmaker is pushing to stay at the forefront of automotive innovation. 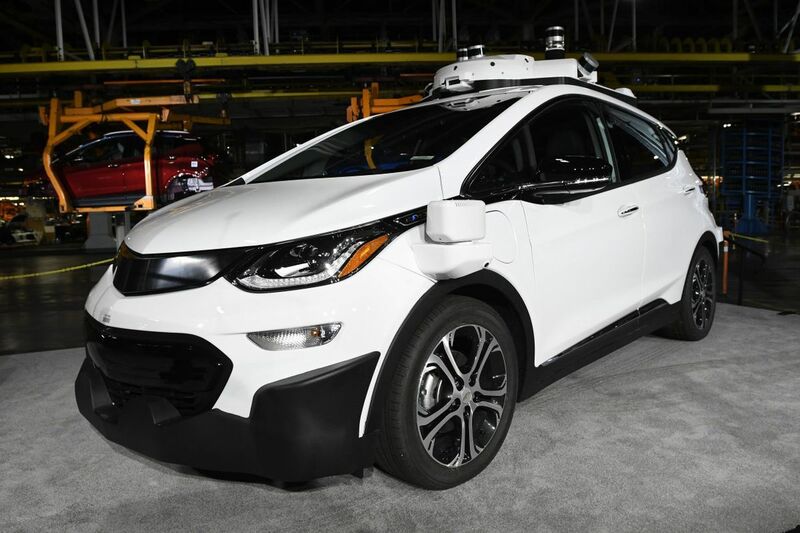 GM says those robotic vehicles – battery-powered Chevy Bolts that are being developed by Cruise Automation, a subsidiary – will appear on American streets without a driver in 2019. The company said vehicles will not have human backup drivers. The ambitious timeline could place GM in an enviable position: with the unique ability to provide existing ride-hailing companies like Lyft or Uber with a growing fleet of autonomous vehicles or, better yet, to unleash their own service. Using their vast dealership networks, nationwide influence and manufacturing prowess, a GM-driven ride-hailing service may be positioned to leapfrog the Silicon Valley startups that have been trying to disrupt the auto industry. GM has invested $500 million in Lyft, which did not respond to a request for comment. "We have been committed since we first started talking about our efforts and when we purchased a portion of Lyft to building self-driving cars that operate in a ride-sharing environment," Ray Wert, head of Storytelling and advanced technology communications at General Motors, said. "We're very happy with how the technology is progressing and given that we feel we have the capability to move forward with one partner, many partners or no partners at all." "We will pick the solution that helps us achieve our mission of safely developing and deploying self-driving cars at scale," Wert added. GM hasn't said where it plans to launch autonomous ride-sharing fleets or how many vehicles they might include, but the company's chief executive Mary Barra, said this week that they believe the "biggest opportunities are in the coastal areas." The car-maker is already testing autonomous vehicles on busy San Francisco streets, as well as in Phoenix and its hometown, Detroit. At those locations, engineers have a chance to refine the vehicle's self-driving capabilities and the still-precarious rider experience ahead of the ambitious deadline. Instead of testing its vehicles on a closed course or in a "simple suburban setting," Wert said, the company has opted to test the vehicles in an environment that resembles where they'll actually be deployed. Real-world conditions, company officials believe, accelerate the technology and unlock economic opportunity. "That's why we're committed to the aggressive timelines that we're committed to," he said. "The faster we can do that the greater impact we can have on society." GM is far from the only traditional automaker investing in autonomous technology and ride-hailing services. Last month, Volvo announced plans to provide Uber with up to 24,000 vehicles for a fleet of driverless taxis that are expected to appear on American streets in 2019. Google's Waymo, German automaker Daimler and Ford are also developing self-driving cars that would be available for ride-sharing services. GM considers autonomous vehicles the "biggest business opportunity since the creation of the internet," a market with with multitrillion-dollar potential that goes hand-in-hand with electric vehicles. In a note to clients Friday, Barclays analyst Brian Johnson wrote that instead of the "overly-aggressive timelines pushed by Tesla," GM's ability to launch autonomous vehicles for a ride-sharing service now "seems possible." "The tech is real," he wrote, noting that GM's vehicles will be "monitored by humans at a control center" and the company will benefit from their aggressive timeline. After joining a test-drive in one of the prototypes, Johnson said the car was "impressive." "There were no disengagements," he wrote. "While the vehicle drove conservatively (i.e., taking time, strictly obeying speed limits, checking carefully at both sides before turning at an intersection), we'd also note that the driving environment was quite complex."